How do I get a California Real Estate Sales Agent License? To obtain a California Real Estate Sales Agent License, you need to take Real Estate Principles, Real Estate Practice and one elective course (our elective is Real Estate Finance). Then, you must take and pass the state examination. How do I get a California Real Estate Broker License? To obtain a California Real Estate Broker License, you need to take 8 college-level real estate courses, and have either 2 years’ full-time experience as a Real Estate Sales Agent or a 4-year college degree with a major or minor in Real Estate. What applications do I need for the state exam? EXAM ONLY: RE 400A is mailed in with copies of the certificates of completion for the 3 required courses and a $60.00 exam fee. The $245 license fee is paid after passing the exam. EXAM AND LICENSE: RE 435 and RE 435A is mailed in with copies of the certificates of completion for the 3 required courses and a $305.00 exam and license fee. EXAM ONLY: RE 400B is mailed in with copies of the certificates of completion for the 2-8 required courses and a $95.00 exam fee. The $300 license fee is paid after passing the exam. EXAM AND LICENSE: RE 436 and RE 436A is mailed in with copies of the certificates of completion for the 2-8 required courses and a $395.00 exam and license fee. What is the state exam like? The California Sales Agent exam consists of 150 multiple-choice questions. The applicant is given 3 hours and 15 minutes to complete the examination. A passing score is 70% or better, which is a minimum of 105 correct answers. The California Broker exam consists of 200 multiple-choice questions. The applicant is given a total of 5 hours to complete the examination. This exam is administered in two parts: 100 questions in the morning and another 100 questions in the afternoon. The applicant is given 2 hours and 30 minutes for each session. A passing score is 75% or better, which is a minimum of 150 correct answers. What if I have already taken a Real Estate Principles course? If you completed a full-semester (or equivalent) Real Estate Principles course in college, no matter how long ago, or a Real Estate Principles course from a private vocational school in California, you will still need to complete a Real Estate Practice course and one elective course. Is my Certificate of Completion still valid? If the course was taken through a private vocational school in California, your Certificate of Completion is still valid, since licensing Certificates of Completion do not expire. If it was taken through a college, your transcripts will be valid. What is the cost for the courses? The price for Sales Agents Licensing Courses is $299.00 for all 3 courses. You can also purchase our Sales Agent Licensing Package for $350.00, which includes all 3 courses, plus the State Exam Prep Book. What NMLS Approved courses are currently offered by Affinity? 20HR PRELICENSING COURSE (CA-DBO) – This is the National 20-hour S.A.F.E. CA-DBO Comprehensive Mortgage Loan Originator Course. This course is packed with everything you need to successfully complete your pre-licensing education requirements in an informative and entertaining setting. This course is perfect for those who are new to the mortgage industry and for experienced professionals who are getting back in the business. Price: $385.00 (includes $30 NMLS Upload fee). 8HR CONTINUING EDUCATION (CA-DBO) – The annual renewal period for your mortgage loan originator license will be from November 1, 2015 through December 31, 2016. You must renew your license during this period in order to ensure that you are authorized to continue originating loans during the 2015 calendar year. The contents of this course contains 3 hours of Federal Law and Regulations, 2 hours of Ethics, 2 hours of nontraditional mortgage products, and 1 hour of California Elective. Price: $125.00 (includes $12.50 NMLS Upload fee). Do offer any type to Test Preparation or Crash Course to prepare students for the NMLS National Exam? We have developed this one-day course with the sole purpose of helping you pass the NMLS National exam. If you are serious about passing these exams the first time, it is strongly recommended that you take this course. Practice Test and Study Drills included. Are Affinity Real Estate courses approved by NMLS? Yes. Our approved course provider is #1405018. Course approval numbers are located on the NMLS order page. A list of all Affinity Real Estate Training courses currently approved by the NMLS can be found here. Is the 20-hour Prelicensing Course LIVE or ONLINE and when will I receive books? The entire 20-hour Pre-licensing course is LIVE – WE ONLY OFFER LIVE CLASSES. All material is proved in class. Is the 8-hour continuing education LIVE or online only or will I receive books? The entire 8-hour continuing education course is LIVE – we only offer LIVE classes. All material is provided in class. Is the Test Prep/Crash Course LIVE or ONLINE and when will I receive books? Test Prep Classes are offered both LIVE as well as LIVE On-line Instructor-Led Webinar. All material is proved in class or available for download. Does Affinity Real Estate Training report my completion to the NMLS? How quickly? Yes. We bank your NMLS course completion directly with the NMLS within 7 days of course completion. During the NMLS renewal season (November 1 — December 31), we bank course completions every business day. When your course has been banked with NMLS we will notify you by email. I heard you can't take the same course two years in a row. Can I still take Affinity Real Estate Training course? The NMLS prohibits MLOs from completing the same 8-hour NMLS CE topics two years in a row. Our courses are fully compliant with this rule. I passed my course. What do I do now? Your course completion will be reported directly to the NMLS within 7 days of course completion. The NMLS will update your NMLS status within 24 hours of receiving course completion confirmation. After 24 hours, log into your NMLS account online and follow the steps to renew your endorsement. 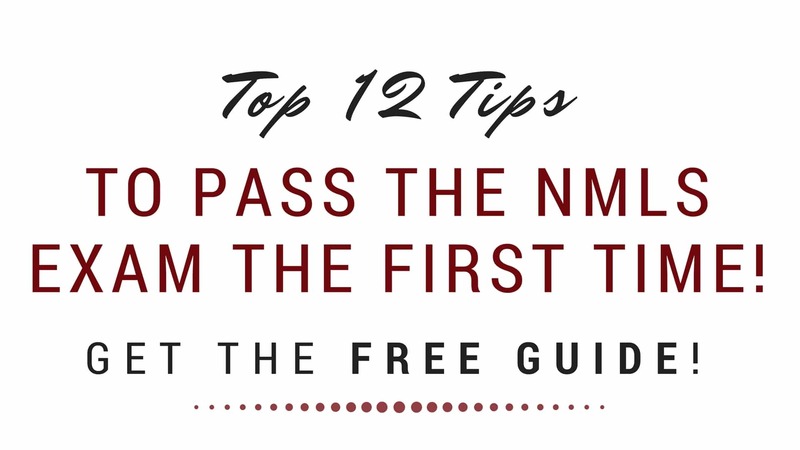 Step by step walkthroughs can be found on the NMLS website. By opting in you're consenting to receive the free guide as well as updates, tips, and other MLO-related emails from Affinity. We wil not share your name or email address. You can unsubscribe at any time.